Stuart Brutsche, Joe Dickey, Anneli Dudley, Ellen Dudley, Ashley Jameson, Katie Manley, Seth Synovec, and Jason Tyler opened Act III with their Cha Cha formation. Jerry Gemar dancing Argentine Tango with Shelley Fritz. Dara Gemar dancing Foxtrot with Kristoffer Shaw. Pat Schmieding and Alex Stidham performing a West Coast Swing. 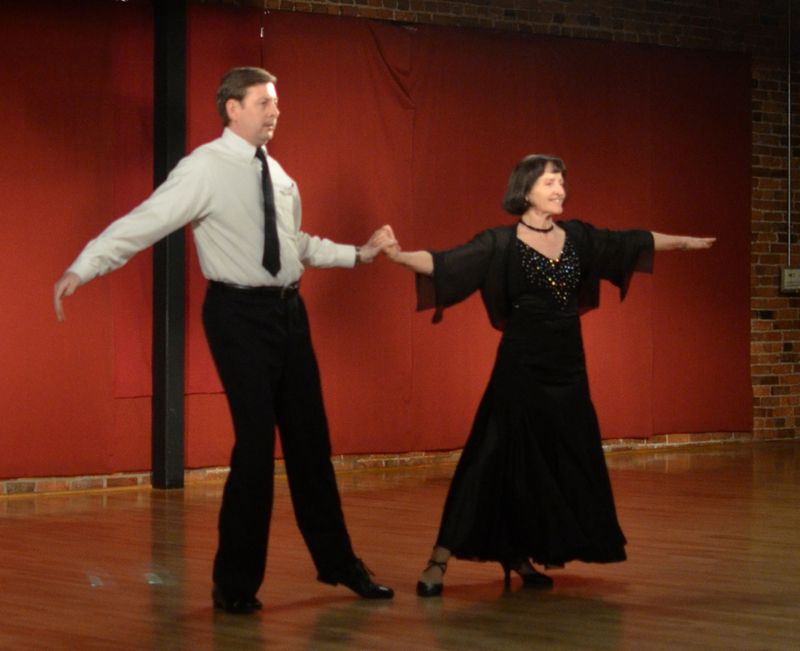 Anneli Dudley and Joseph Dickey finished Act III and the evening with their Argentine Tango. Thanks again to all of the performers, studios, and vendors that helped make the night a success! We'll see you back next year!